Introduces basic information vis concepts and their implementation. This workshop will introduce basic information visualization concepts and discuss their implementation within R analyses (ggplot2) and for Web (D3, Shiny, and Jupyter). Presented by Jefferson Davis and David Reagan. 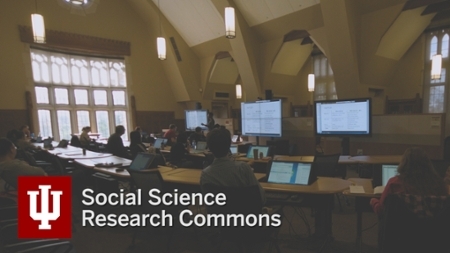 The Tools and Techniques for Analysis, Management, and Visualization of Research Data ﻿will be held weekly on Tuesdays from noon to 1pm in the Social Science Research Commons Grand Hall. Throughout the semester, the Research Technologies division of UITS will present a variety of topics dealing with data visualization, storage and management of research data, and statistics and analytics tools to deal with data analysis.